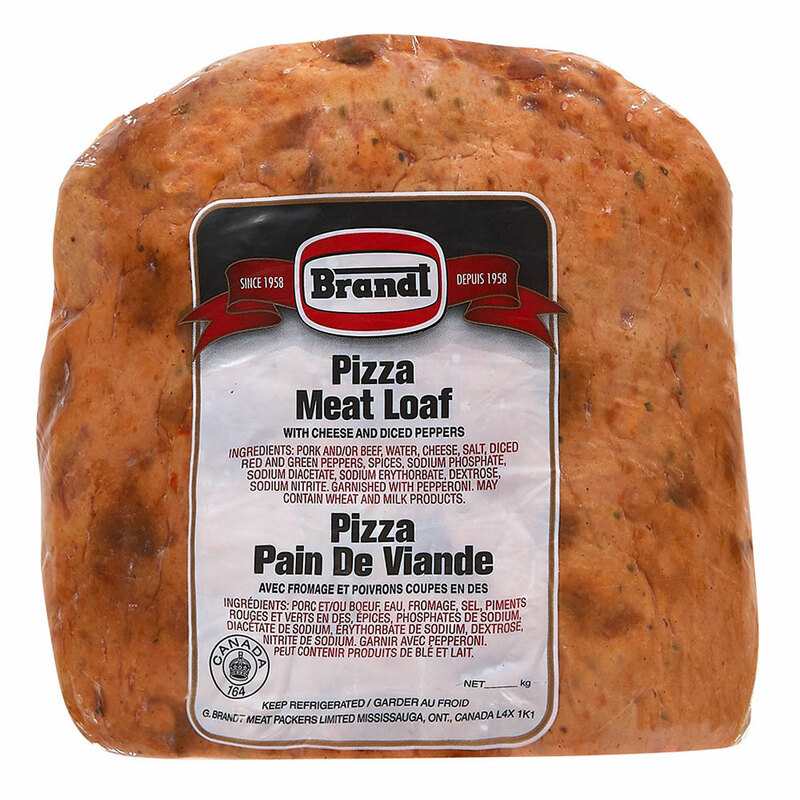 Our Pizza Loaf puts a twist on the classic with pieces of ham, cheese, diced red and green peppers and pepperoni. It’s seasoned with an Italian blend of herbs and spices to give it its unique pizza flavour. Pork and/or Beef, Water, Cheese, Salt, Diced Red and Green Peppers, Spices, Sodium Phosphate, Sodium Diacetate, Sodium Erythorbate, Dextrose, Sodium Nitrite, Garnished with Pepperoni. 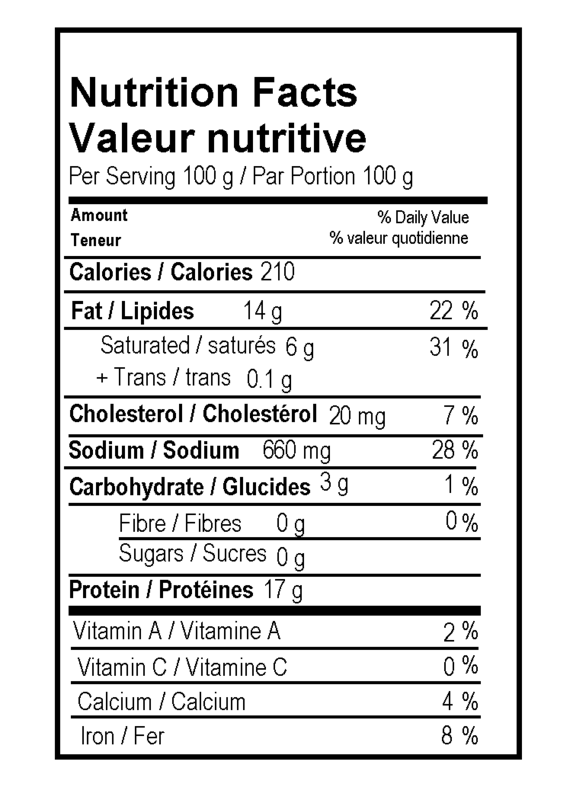 May contain Wheat and Milk products.